This hymnal includes more than 850 hymns, psalms, and contemporary and global songs, along with prayers and readings that can be incorporated into any church service. A bulk discount is available for 50+ copies and pricing ($20.00 US) will be updated in the cart. Imprinting on the back cover is available at $2.00 US per copy (1-10 copies) and $1.50 US per copy (11+ copies). Please call 1-800-333-8300 or e-mail us to request imprinting. This hymnal includes more than 850 hymns, psalms, and contemporary and global songs, along with prayers and readings that can be incorporated into any church service. For worship leaders, Lift Up Your Hearts offers a broad selection of hymns and worship songs. In addition, there are more than 150 prayers and litanies. Resources for special services include morning, evening, and night prayers, and resources for pastoral care. Church members and families can also use the prayers and songs in family and personal devotions. 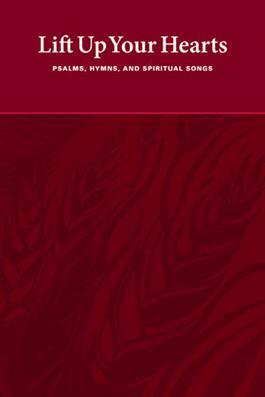 "The new hymnal with more than 850 titles is a wonderful compilation of the very best of wide variety of types of congregational hymns and worship songs. Its content is firmly Biblical and deeply Reformed. It will not only allow our congregation to retain its rich tradition of singing beloved classic, traditional and time-honored hymnody, but also expand our repertoire to include new hymns and songs from a variety of genres, styles and traditions." "The new Lift Up Your Hearts hymnal is a blessing for all those who love worship planning, leading, and participation . . . in addition to the rich diversity of music and eclectic stylistic taste that the hymnal editors have employed in selecting what to include. It is clear to me that this hymnal was created to serve and meet the needs of the existing church, neither pushing us to worship in ways that are awkward for us or beyond our limits, nor allowing us to settle for worship that is bland and dry." John D. Witvliet is director of the Calvin Institute of Christian Worship and professor of congregational studies, music, and worship at Calvin College and Calvin Theological Seminary. Joyce Borger is editor of "Reformed Worship" magazine and music and worship editor for Faith Alive Christian Resources. Martin Tel is C. F. Seabrook Director of Music at Princeton Theological Seminary in Princeton, New Jersey, where he directs the seminary choirs and teaches in the area of church music.